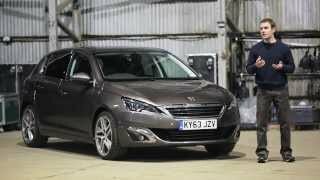 Peugeot has revealed the new Peugeot 308 with refined design and innovative cockpit for unique driving sensations. 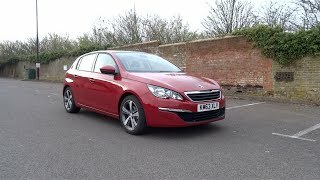 The 2014 Peugeot 308 projects a classy and sophisticated presence and has all of the essential characteristics needed in the C segment, with its compact size, a spacious interior and a particularly large boot. 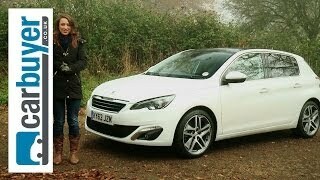 The new 308 has a pure and technological exterior design that speaks of high strength and high quality. On the exterior it gets a new front grille, slim full-LED headlamps, high quality design for the rear with three Peugeot (lion) ‘claws’ drawn by the rear LED lamps. When inside the car, one discovers a world of refined style, with a cockpit that is intense, innovative and intuitive. The highlight of the Peugeot 308’s generously spaced cabin is the 9.7-inch touch-screen interface, which removes much of the need for physical buttons and switches. 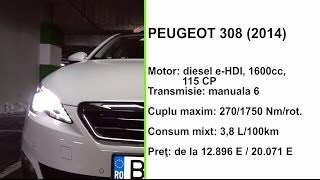 The Peugeot 308 will make its world premiere at the Frankfurt Motor Show on 10th September 2013, when more information about this innovative new model will be released.